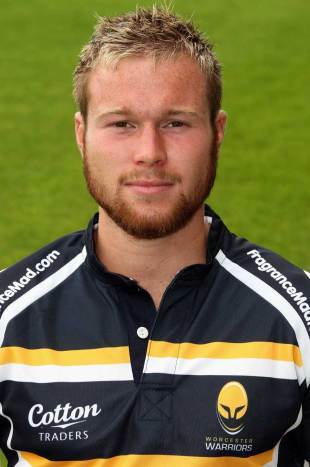 Edinburgh have announced the capture of Worcester Warriors' back Mike Penn on a one-year deal. Penn is equally adept both on the wing and at fullback and will look to vie with the likes of Tom Brown, Lee Jones and Tim Visser for a spot in the club's back three. Edinburgh have already bolstered their ranks with WP Nel and Ben Atiga both penning deals at Murrayfield as they look to improve on their 11th-place finish in this year's RaboDirect PRO12. Edinburgh coach Michael Bradley is excited about what Penn will bring to the club labelling him "an ambitious young man" and the back has revealed that it was the club's ambitions that swung it for him. "My first thoughts when I arrived were centred around the training facilities and the quality of the coaching staff, particularly their ideas and ambitions to take the club forward," Penn said. "Edinburgh Rugby have been one of Europe's top sides this season so I'm really looking forward to getting in there, working hard as part of a quality squad and proving myself."